Composed by Ralph Vaughan Williams (1872-1958). Reduction for viola and piano. 68 pages. Duration 23'. Oxford University Press #9780193694057. Published by Oxford University Press (OU.9780193694057). ISBN 9780193694057. 12 x 9 inches. The work is divided into three self-contained groups of two to three pieces each, and reflects the composer's pleasure in writing an English style of music by evoking, in this case, the forms of song and dance popular in the England of his youth. 17 of 35 people found this review helpful. 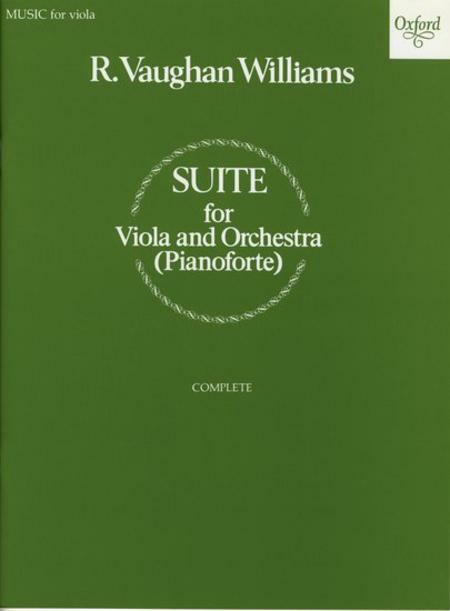 Williams remaked to a friend in 1933: "My viola suite is not finished - I do not know if it ever will be." Truly this is a piece worthy to explored, and vioists deserve to be utterly absorbed as they chart their path through this fantastic musical wonderland. The Royal Conservatory of Music rates this repertoire at the Grade 10 level. 36 of 57 people found this review helpful.